Android Developers Blog: Android N Developer Preview 2, out today! Android N Developer Preview 2, out today! Last month, we released the first Developer Preview of Android N, to give you a sneak peek at our next platform. The feedback you’ve shared to-date has helped us catch bugs and improve features. Today, the second release in our series of Developer Previews is ready for you to continue testing against your apps. This latest preview of Android N fixes a few bugs you helped us identify, such as not being able to connect to hidden Wi-Fi networks (AOSP 203116), Multiwindow pauses (AOSP 203424), and Direct Reply closing an open activity (AOSP 204411), to name just a few. We’re still on the hunt for more; please continue to share feedback, either in the N Developer Preview issue tracker or in the N preview community. Vulkan: Vulkan is a new 3D rendering API which we’ve helped to develop as a member of Khronos, geared at providing explicit, low-overhead GPU (Graphics Processor Unit) control to developers and offers a significant boost in performance for draw-call heavy applications. Vulkan’s reduction of CPU overhead allows some synthetic benchmarks to see as much as 10 times the draw-call throughput on a single core as compared to OpenGL ES. Combined with a threading-friendly API design which allows multiple cores to be used in parallel with high efficiency, this offers a significant boost in performance for draw-call heavy applications. With Android N, we’ve made Vulkan a part of the platform; you can try it out on supported devices running Developer Preview 2. Read more here. Vulkan Developer Tools blog here. Launcher shortcuts: Now, apps can define shortcuts which users can expose in the launcher to help them perform actions quicker. These shortcuts contain an Intent into specific points within your app (like sending a message to your best friend, navigating home in a mapping app, or playing the next episode of a TV show in a media app). An application can publish shortcuts with ShortcutManager.setDynamicShortcuts(List) and ShortcutManager.addDynamicShortcut(ShortcutInfo), and launchers can be expected to show 3-5 shortcuts for a given app. Emoji Unicode 9 support: We are introducing a new emoji design for people emoji that moves away from our generic look in favor of a more human-looking design. If you’re a keyboard or messaging app developer, you should start incorporating these emoji into your apps. The update also introduces support for skin tone variations and Unicode 9 glyphs, like the bacon, selfie and face palm. You can dynamically check for the new emoji characters using Paint.hasGlyph(). API changes: This update includes API changes as we continue to refine features such as multi-window support (you can now specify a separate minimum height and minimum width for an activity), notifications, and others. For details, take a look at the diff reports available in the downloadable API reference package. Bug fixes: We’ve resolved a number of issues throughout the system, including these fixes for issues that you’ve reported through the public issue tracker. Please continue to let us know what you find and follow along with the known issues here. The easiest way to get this and later preview updates is by enrolling your devices in the Android Beta Program. Just visit g.co/androidbeta and opt-in your eligible Android phone or tablet -- you’ll soon receive this (and later) preview updates over-the-air. If you’ve already enrolled your device, you’ll receive the update shortly, no action is needed on your part. You can also download and flash this update manually. Developer Preview 2 is intended for developers and not as a daily driver; this build is not yet optimized for performance and battery life. 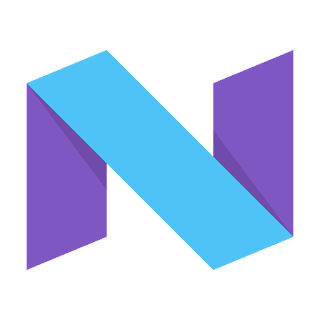 The N Developer Preview is currently available for Nexus 6, Nexus 5X, Nexus 6P, Nexus 9, and Pixel C devices, as well as General Mobile 4G [Android One] devices. For Nexus Player, the update to Developer Preview 2 will follow the other devices by several days. To build and test apps with Developer Preview 2, you need to use Android Studio 2.1 -- the same version that was required for Developer Preview 1. You’ll need to check for SDK components updates (including build tools and emulator system images) for Developer Preview 2 -- see here for details. Thanks so much for all of your feedback so far. Please continue to share feedback, either in the N Developer Preview issue tracker or in the N preview community. The sooner we’re able to get your feedback, the more of of it we will be able to incorporate in the next release of Android.